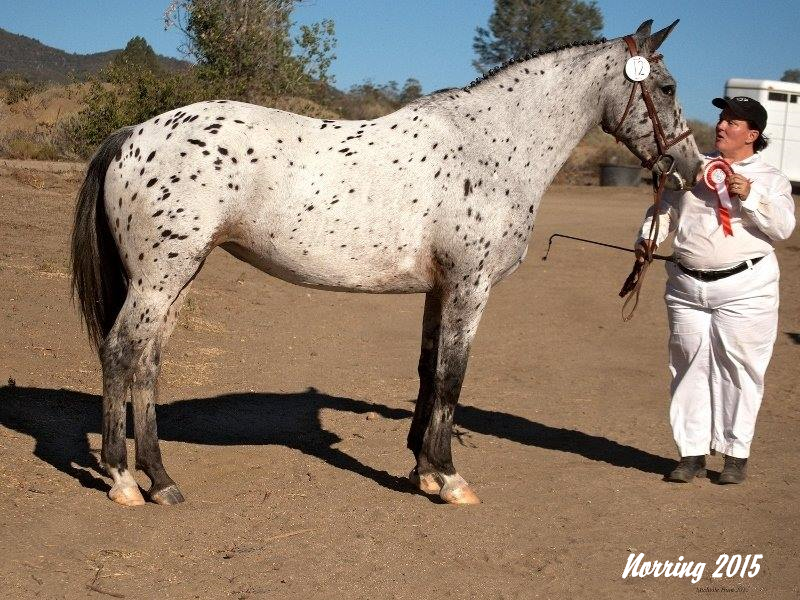 Patriot av Drommarna- America's Highest Scoring KNN Mare in 2015! Congratulations are in order for Patriot, her owner, & breeders! 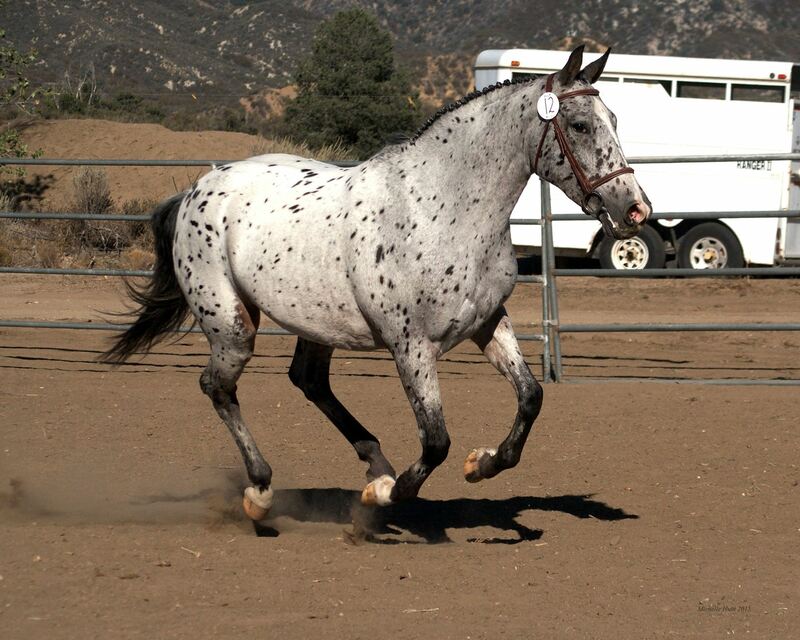 Patriot av Drommarna (Pegasus vom Niehaus-hof x Nadia), a 2010 American bred Knabstrupper mare from Baroque' N Dreams in Anza, California was awarded 1st Premium- with a very impressive Overall Score of 9, Best Mare, and Site Champion after being presented to the KNN judges for Mare Approval during last year's 2015 KNN Karing/Grading Tour at the California Host Site. 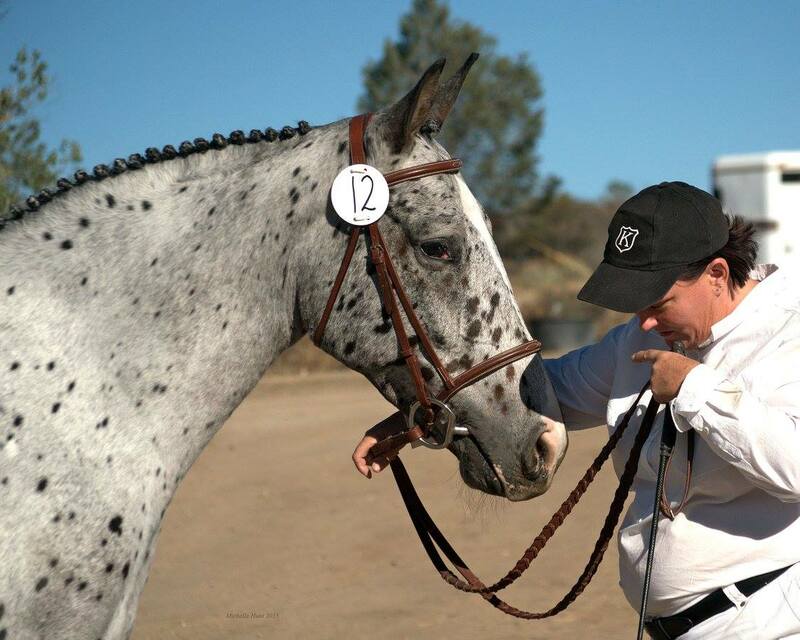 Patriot was handled by owner, Keebler Hunt. "Yes, I was stunned. So surprised I cried- in happiness of course. I suspected she would do well, but never dreamed she would do that well." When asked about future plans, her owner has said that Patriot is just starting under saddle and is hoping to have her ready for her performance test by next inspection , which would give her the RKNN status. "Eventually we will start showing together in local and regional Eventing shows, but I'm concentrating on bring her along at her [own] pace, adding in other activities to enrich her very intelligent mind." She continued, "I'm incredibly thankful for being her human every single day. I have never had a horse of this caliber before, and I hope I can do her justice. I am constantly impressed with her ability to remember things we have worked on months before, and her amazing temperament." 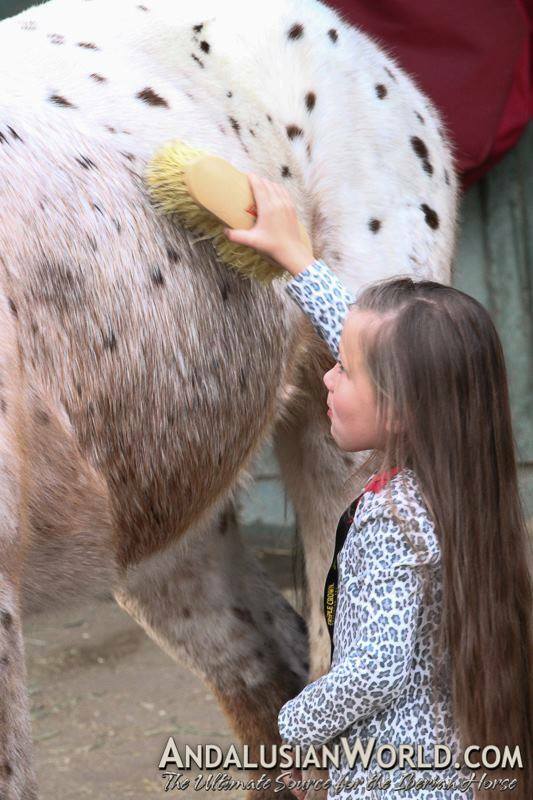 "She is surprisingly good with my 9 year old, and allows her to do things that I would never dreamed another 5 year old doing, like allowing Aubrey to put her hoof into her lap while sitting on the ground to pick it. Patriot is a true gem in the equine world- one of those 'one in a million' kinds of horses." The Knabstrupper Network can't wait to see what awaits for Patriot av Drommarna and wish these to the best of luck! Patriot has her own Facebook page-You can like it and follow her and her owner's progress!